Google has just released the Android P Developer Preview 3 (also known as Android P Beta 2) for the Google Pixel, Google Pixel XL, Google Pixel 2, and Google Pixel 2 XL. You can find download links and flashing instructions in our previous article. Simply put, it’s a more polished, stable, and snappy version of the previous beta. 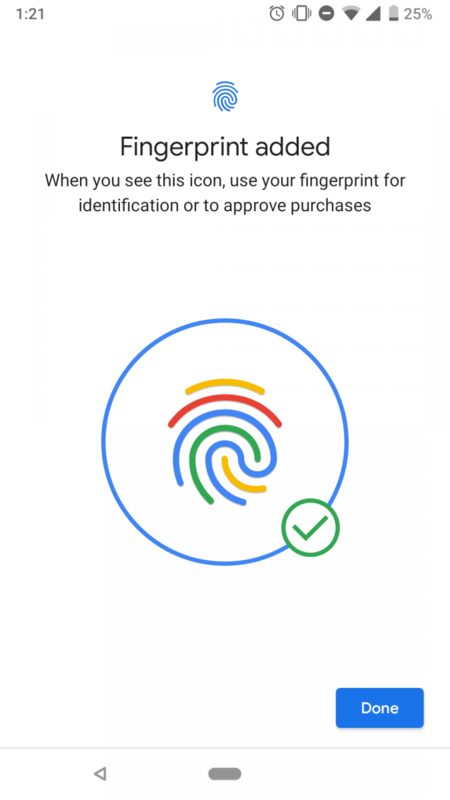 Google has made a few minor UI/UX tweaks here and there, and I’ll try to list and explain each of them in this article. Here’s a summary of all of the changes below in bullet point format. We recommend you take a cursory glance at this, but scroll down to see screenshots/videos and a description of each new change. 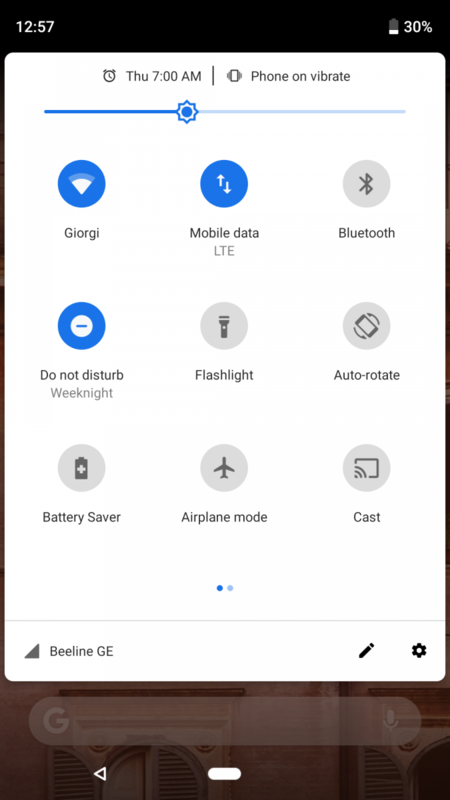 ‘Clear all’ button in recent apps screen is back! 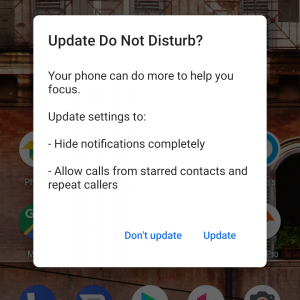 Do Not Disturb now informs you when an automatic rule kicks in and recommends you hide notifications entirely. 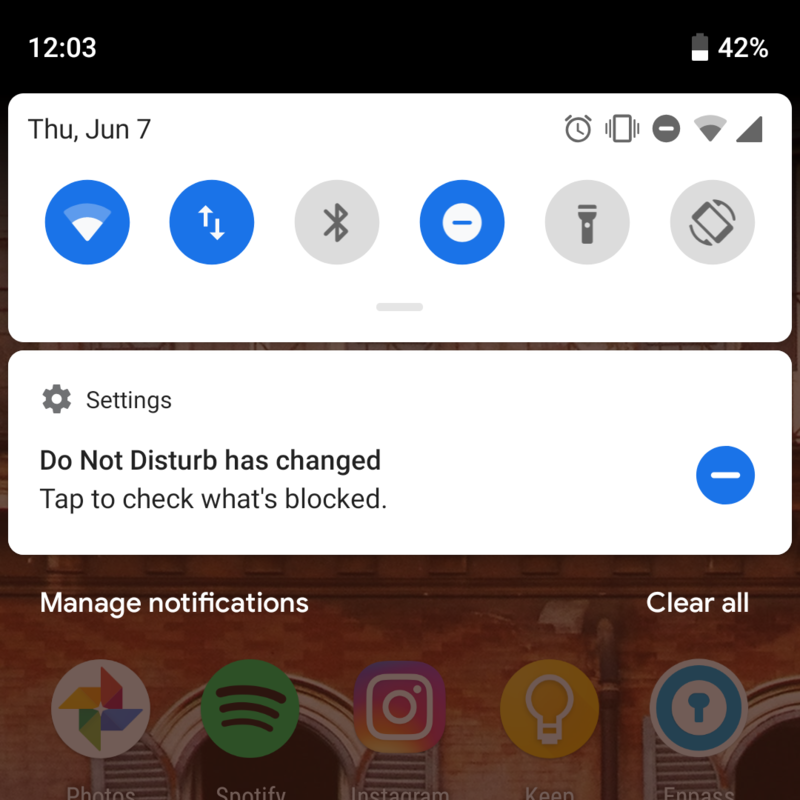 Previously hiding notifications was default in P DP2. The first noteworthy feature is a changed brightness slider behavior: It now changes the brightness logarithmically instead of linearly. Before this preview when it was linear, about 90% of the brightness was controlled by the lower 20% of the left of the slider. The old 50% brightness was almost identical to 100% max brightness, and the old 5% brightness was significantly brighter than 0% brightness. Now, the change in perceptual brightness is more uniform as you increase or decrease the slider. The brightness slider position should spend most of its time throughout the day near-max now, but that’s fine. The brightness of the panel hasn’t changed, just the behavior of the brightness slider, and for the better. Other OEMs have had a logarithmic brightness slider since forever, Google just only now caught up with this standard physics-based implementation. 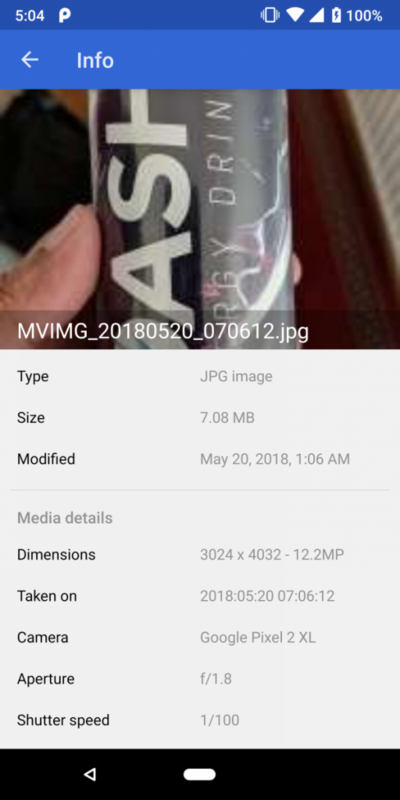 Credits for this explanation goes to XDA Display Analyst Dylan Raga. ‘Clear all’ button is back! Google promised to bring it back and delivered. You can now find a ‘Clear all’ button in the horizontal recents menu on the left-most side. You can also see a slightly more visible application drawer (with a translucent white background) in the screenshots above. 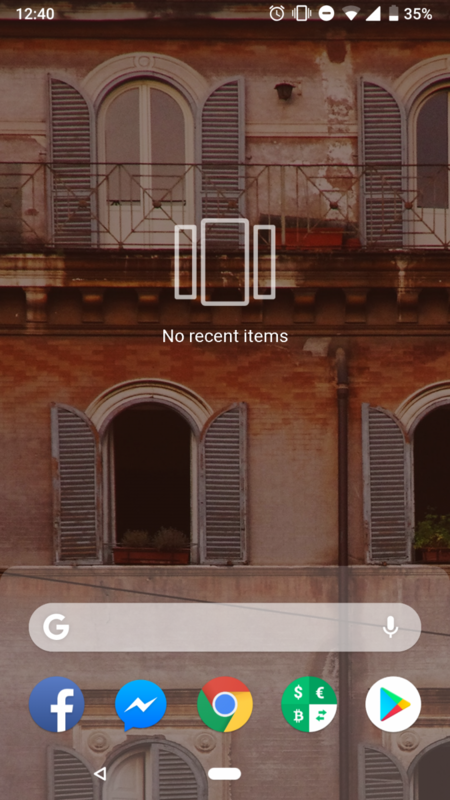 As you’re sliding up to the app drawer, the background gets more visible. Sliding on app drawer also gives you haptic feedback. 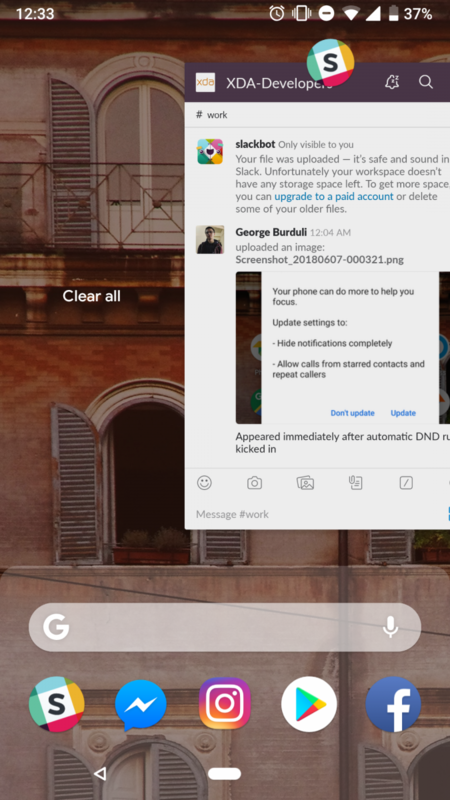 More importantly, you can now open up the app drawer from any screen and application with a single long-swipe. This was not possible on the earlier previews as you had to swipe up twice. The date is now below the time and not next to it as it was in preview builds. I’ve also noticed that Quick Settings icons are now smaller and have more margin than before. Notifications now have a new ‘arrow’ icon on the right side. 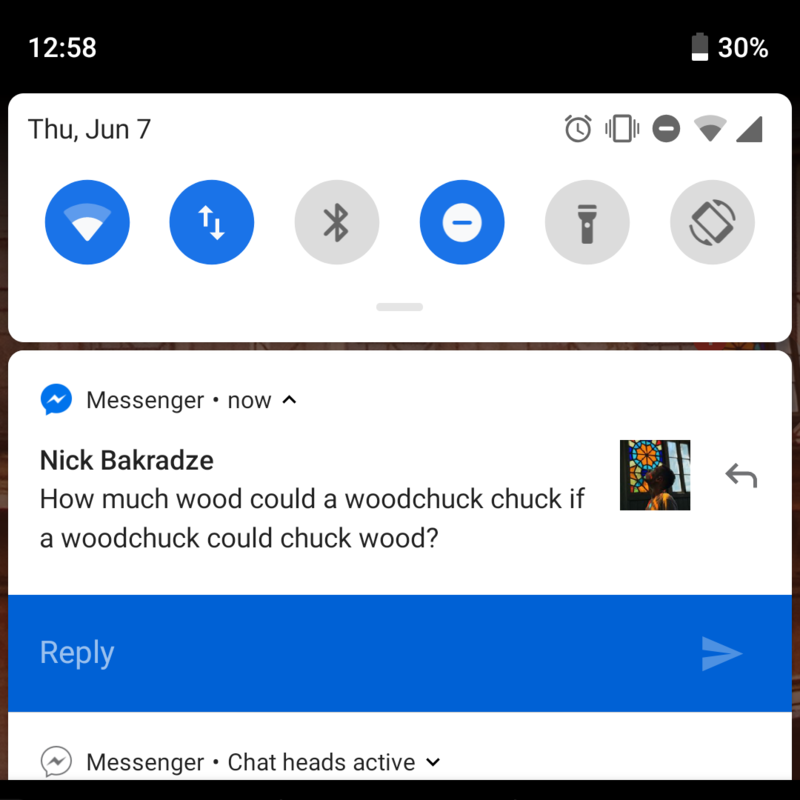 Tapping it immediately opens quick reply screen. This is especially useful for collapsed notifications. 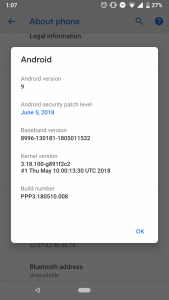 For the first time after releasing Android P, we now know the version number: Android 9. You’ll get a new colorful animation while setting up a fingerprint. 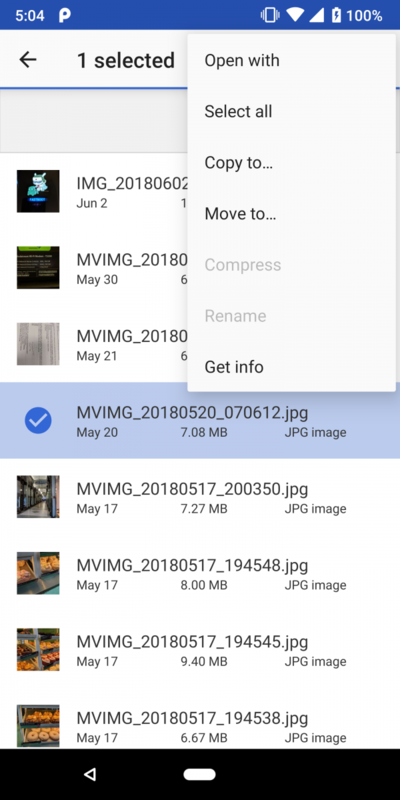 ‘Downloads’ app has been renamed back to ‘Files’ again. ‘Files’ application now also has ‘Get info’ button that displays some useful information for files and folders. Color profile picker comes with a new picture to help you better understand the difference between profiles. 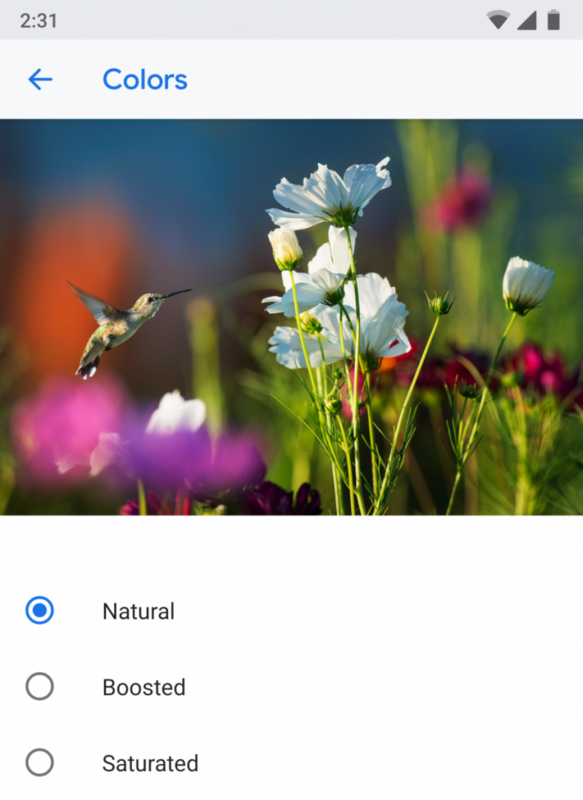 The color profiles shown below are from the Google Pixel 2. There are 157 new emojis in Android P DP3. You can see all of them here. Most of them are gender-inclusive. 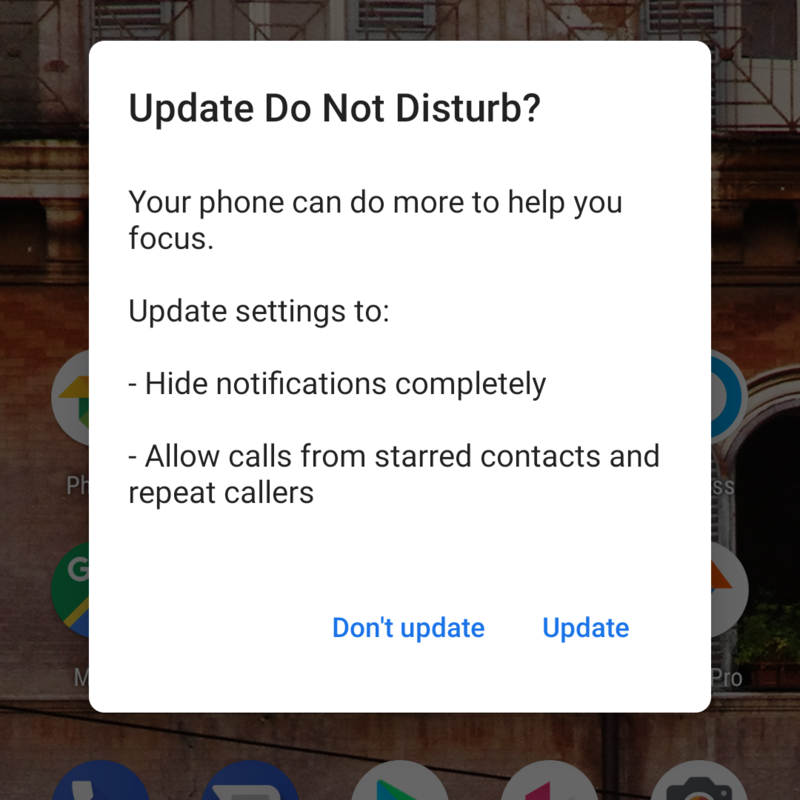 Do Not Disturb now informs you when an automatic rule kicks in. 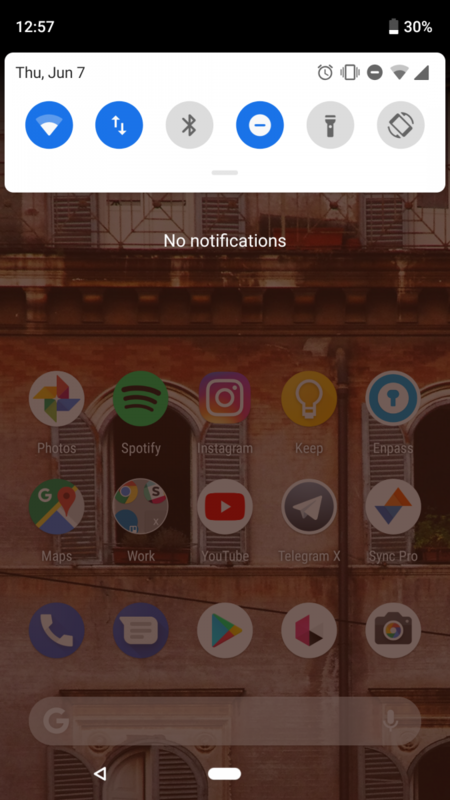 It sends you a notification and lets you opt-in to completely hide notifications. 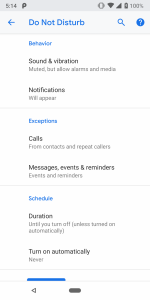 Previously, Do Not Disturb defaulted to hiding notifications except critical phone related messages. Also, you can see more a refined and cleaner version of Do Not Disturb settings with categories. There’s a new animation while closing an application, which we’ve captured below at 1x and 5x speeds. As you can see, the app slides down and fades out. There’s also a new animation for the ‘rotation suggestion’ feature when rotating your phone. The icon is updated and it now flashes three times to grab your attention. 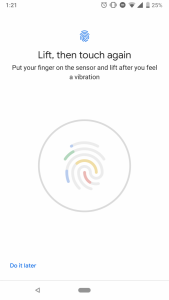 Lastly, there’s a new animation when you turn on vibration using Volume Up + Power gesture. This gesture, called ‘Prevent ringing,’ turns on vibrations or Do Not Disturb. 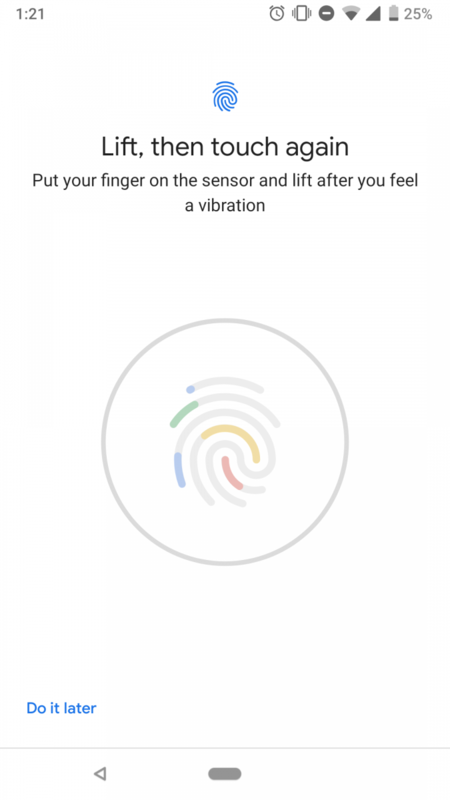 As you can see in the video, the vibration icon subtly pops in. We’ll be updating this article periodically with new information. If you find something that we missed, please do let us know in the comments below! 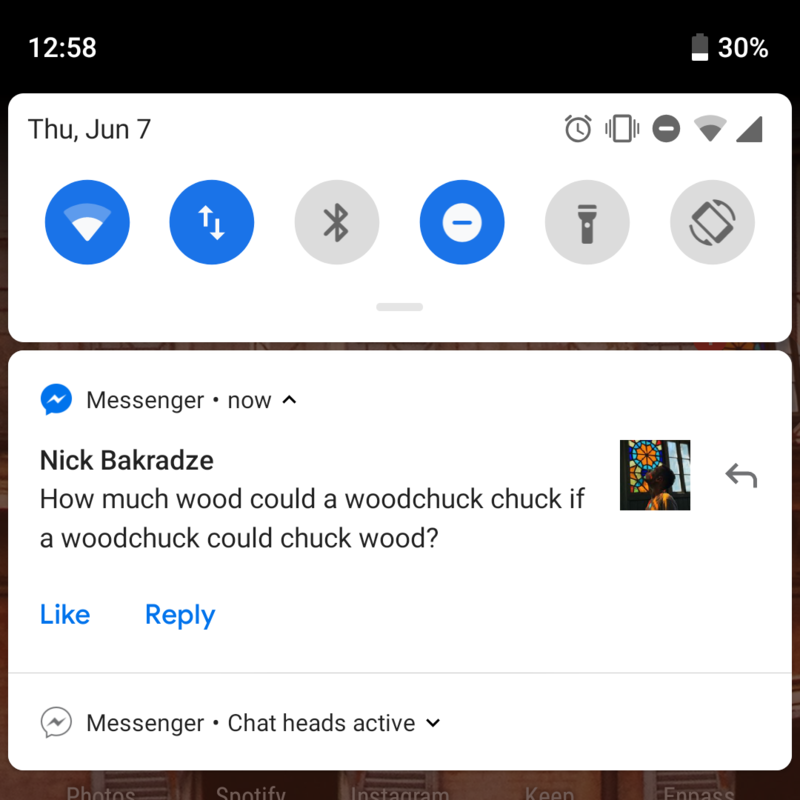 Also, let us know what your thoughts are on the latest Android P beta for the Google Pixel, Google Pixel XL, Google Pixel 2, and Google Pixel 2 XL! The update for the Essential Phone, Nokia 7 Plus, OnePlus 6, Oppo R15 Pro, Sony Xperia XZ2, and Xiaomi Mi Mix 2S will roll out in the coming weeks, so stay tuned!